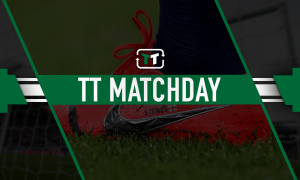 'Wee man was outstanding' - Loads of Celtic fans delight at incredible cup semi-final star | The Transfer Tavern | News, breakdown and analysis on all things football! Celtic fans were all likely celebrating their big Scottish Cup semi-final win late into the night last night after they saw off Aberdeen comfortably at Hampden Park. A routine 3-0 win was made easy for them as both Dom Ball and Lewis Ferguson saw red for Aberdeen, although take nothing away from Celtic, and Jonny Hayes in particular. The 31-year-old winger is in sublime form as of late, and yesterday was a typical Hayes display. Whilst the industrious Scottish wide-man failed to get a goal or an assist for his troubles in the huge Sunday clash, he did star throughout from the left of the midfield three behind Odsonne Edouard, and he was the man who won the penalty that Edouard bagged for 2-0. This season, Hayes has truly been a jack of all trades. The Scottish maestro has featured as a left-back, a winger on both sides and as an attacking midfielder and that kind of versatility makes the former Aberdeen man a dangerous player to be contending with. 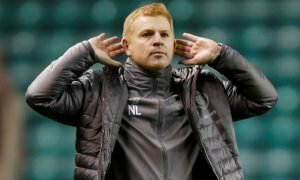 Neil Lennon can field him almost anywhere, and even though the 31-year-old is yet to score this season the fans really appreciate the Scotsman’s efforts, with yesterday a particular high. He played well. Total commitment. 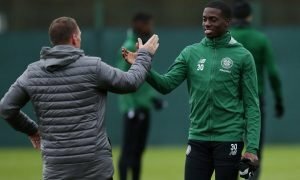 The Hoops couldn’t get enough of Hayes yesterday and will want the veteran to sign a new deal sooner rather than later at Parkhead.